I have been trawling through S1 Edexcel past papers from the past 7 years and I am putting together some compilations of questions from the topic areas. I will be adding more soon. Skew – a PowerPoint presentation on skew – what it is and ways to measure it. 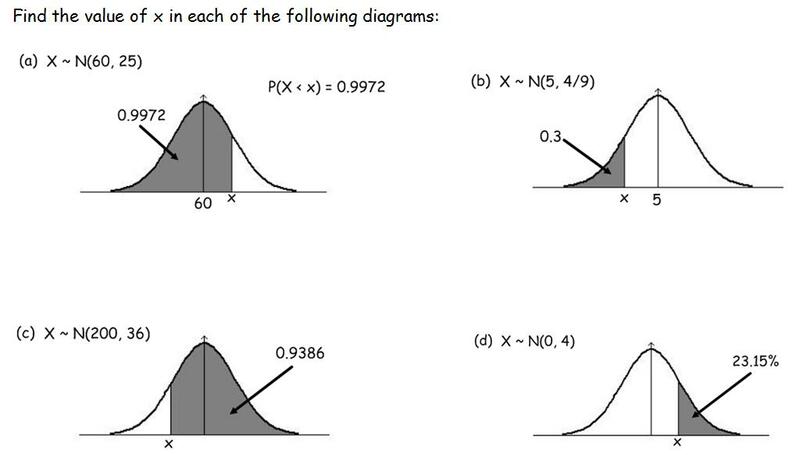 probability-and-the-normal-distribution.doc – Introduction: diagrams with questions and ways to remember how to find probabilities using the z-tables for the Normal Distribution. Normal distribution and standardising – Finding probabilities. Two examples for pupils one basic, and one worded question. Three questions on finding the mean, standard deviation or both. 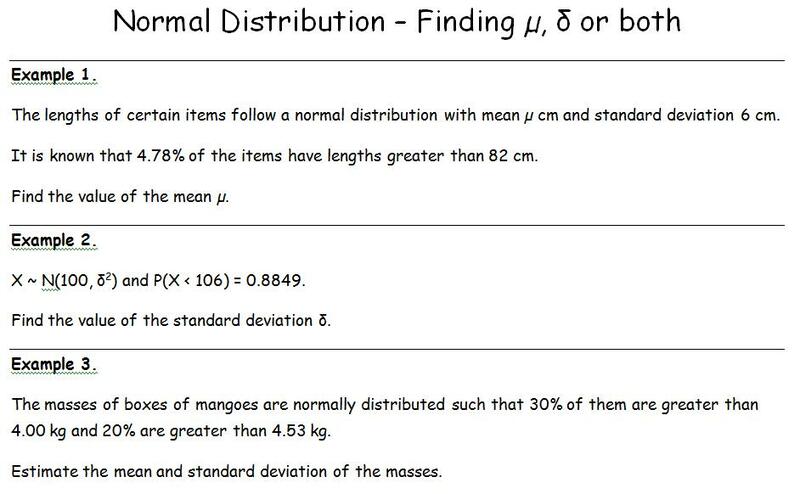 S1 Assessment on Normal Distribution 4 questions in a booklet with mark scheme included.